On June 20, 1980, The 24 year old Sugar Ray Leonard returned to the Olympic Stadium in Montreal to defend his title against Roberto Duran before a crowd of 46,317. 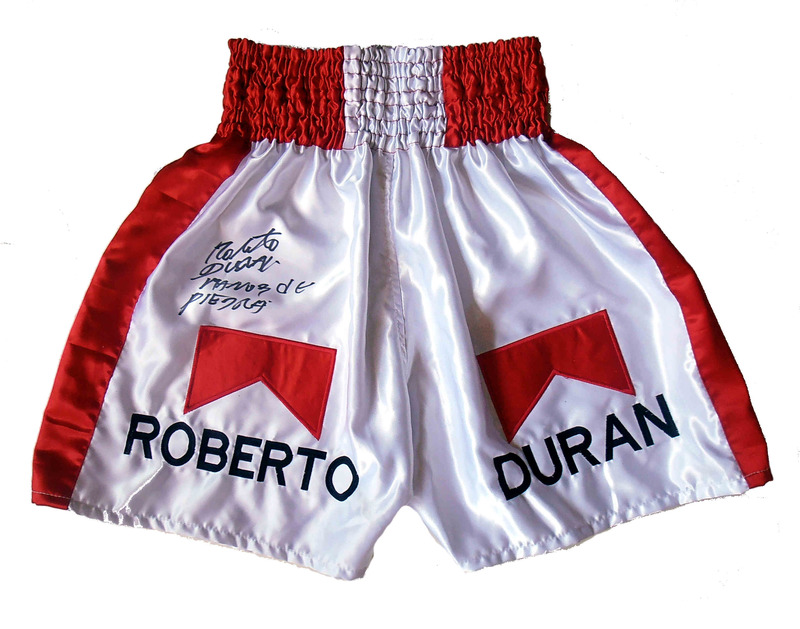 Duran was now 29 & the former Undisputed World Lightweight Champion, who's record of 71-1 and was the #1 welterweight contender & had been attributed the accolade of the "70's Fighter of the Decade"
It was, from almost the opening salvo, a fight that belonged to Duran. The Panama animal seized the evening and gave it what shape and momentum it had. He took control, attacking and driving Leonard against the ropes, bulling him back, hitting him with lefts and rights to the body as he maneuvered the champion against the ropes from corner to corner. Always moving forward, he mauled and wrestled Leonard, scoring inside with hooks and rights. For three rounds Duran drove at Sugar Ray with a relentless fury, and there were moments when it seemed the fight could not last five. Leonard was being suffocated in violence. Unable to get away, unable to counter and unable to slide away to open up the ring, Leonard seemed almost helpless under the assault. 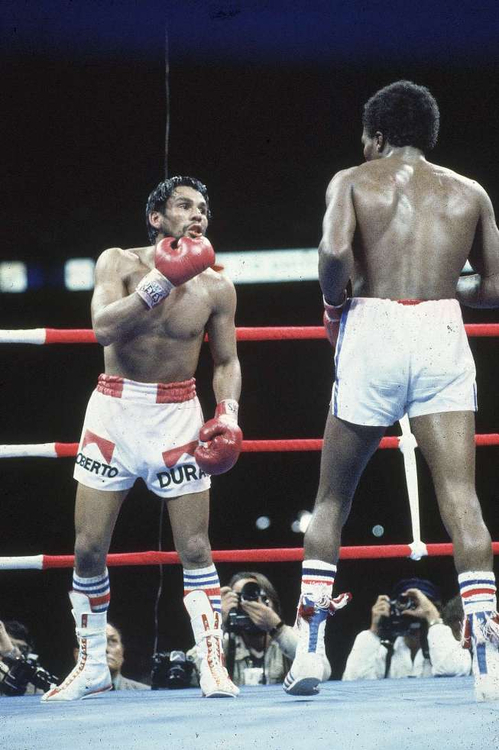 Now and then he got loose and countered—left-right-left to Duran's bobbing head—but he missed punches and could not work inside, could not jab, could not mount an offense to keep Duran at bay. 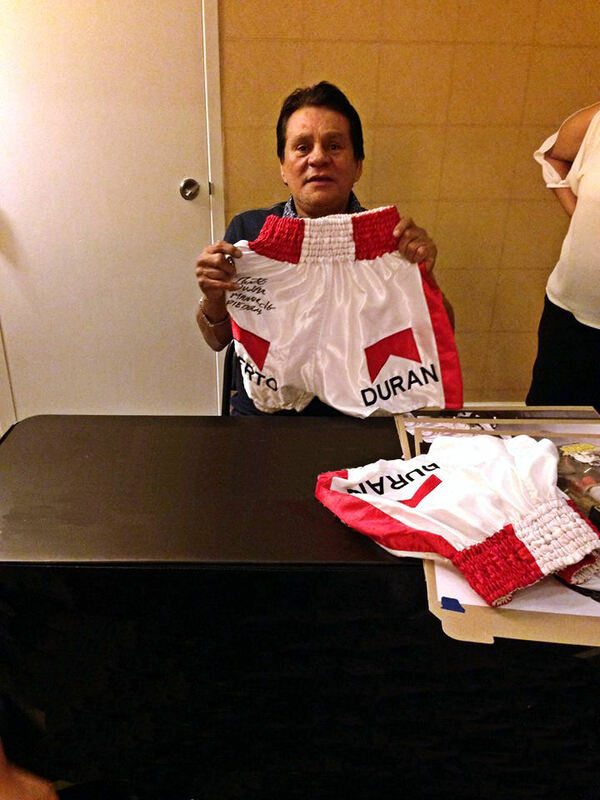 Duran was awarded a unanimous decision, although it was mistakenly read as a majority decision in the ring. The scorecard of judge Angelo Poletti was incorrectly added and announced as 147-147. He actually scored it 148-147. In rounds, he had it three for Duran, two for Leonard, and ten even. Sports Illustrated called his scorecard "a monument to indecision." Judges Raymond Baldeyrou and Harry Gibbs scored the fight 146-144 and 145-144, respectively. The Associated Press had it 144-141 for Duran. One of the greatest victories of all time! These beautiful bespoke signed boxing trunks come with a LOA lifetime & beyond guarantee of authenticity from ourselves here at KOfightposters. A fantastic addition for any collection & discerning boxing memorabilia collector. Postage: £10.00 UK Postage... £20.00 International registered.